At 100% Chiropractic in Lakewood, we believe it means giving your body the opportunity to function optimally! With all systems go, you’re able to work, ski, hike, play with your kids, enjoy a baseball game, & do anything else you love to do. Optimal functioning starts with a healthy spine. A healthy spine starts with routine wellness visits to help prevent symptoms before they begin. At our Lakewood location, our professional chiropractors offer a wide range of expertise to provide you and your family with optimal care. 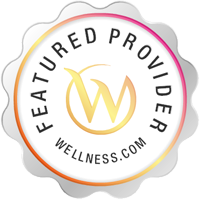 Come experience our commitment to your 100% healing and 100% satisfaction in Lakewood & Belmar! We service the North Central Part of Colorado, specifically Lakewood, Belmar and nearby surrounding areas. 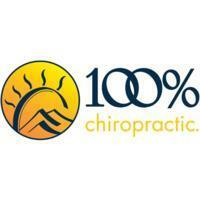 Services 100% Chiropractic - Lakewood practices at 455 South Teller Street, Lakewood, CO 80226. Chiropractors diagnose and treat common spinal misalignments that can occur from lifestyle or injuries causing pain, discomfort and degenerative conditions. 100% Chiropractic - Lakewood may be able to treat; back pain, sciatica, neck pain, shoulder pain, headaches, sports injuries, and auto accident injuries.